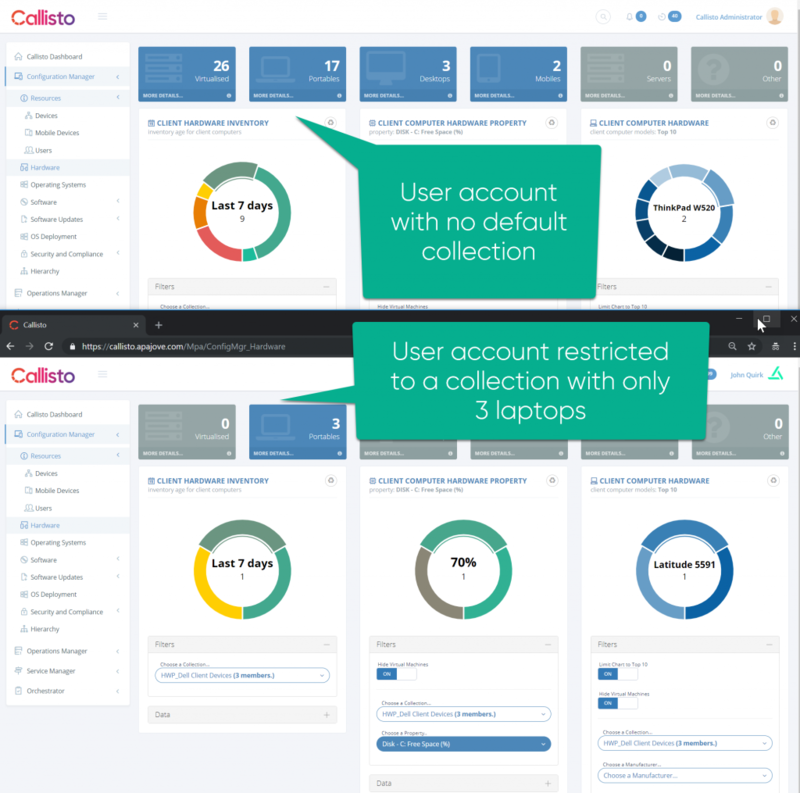 Callisto allows you to specify a default collection for a user. This is then used for the initial dataset shown to the user when opening any Configuration Manager pages. 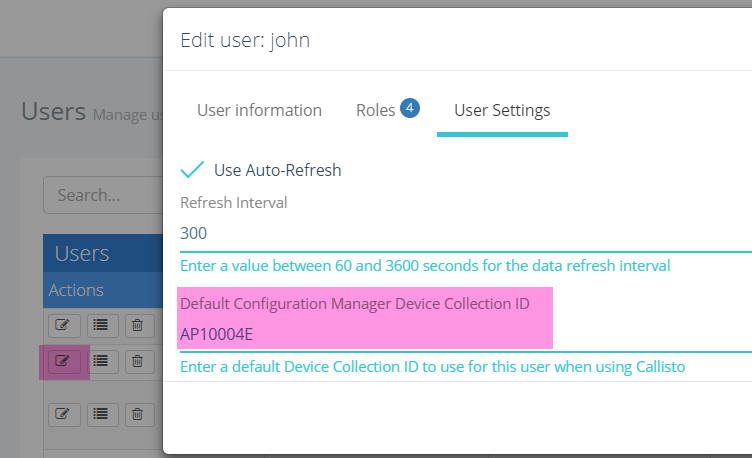 To set a default collection for a user we use the Administration – Users node. Edit the user account, navigate to the User Settings tab and enter the Collection ID of the default collection you wish to apply. Note that this does not prevent a user from selecting another collection from any of the chart or page filter pickers, but it ensures that all dashstats and charts on first-use are filtered against this specific collection.